Use this website to quickly find the most important information about Alghero-Fertilia Airport: Flights, Departures, Arrivals, Parking, Car Rentals, Hotels near the airport and other information about Alghero Airport. Plan your travel to AHO Airport with the information provided in this site. Alghero-Fertilia Airport (IATA: AHO, ICAO: LIEA), in Italian Aeroporto di Alghero – Riviera del Corallo, in Catalan Aeroport de l’Alguer-Fertília, is the main international gateway of the Italian city of Alghero and its region. The airport is located at 8 kilometers northwest of the city center, named after the nearby village of Fertilia. 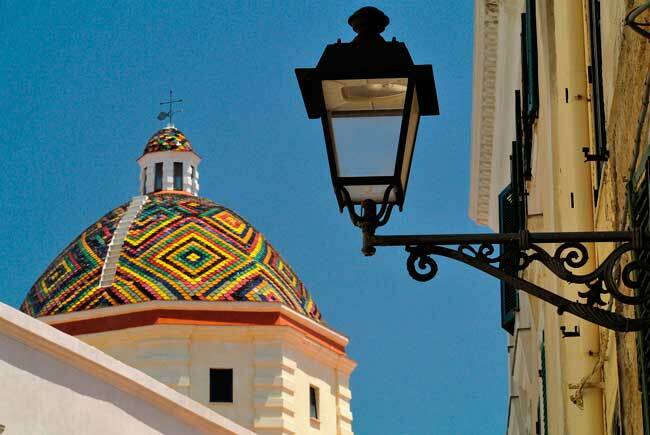 Along with Olbia and Cagliari, is one of the three major international airports serving the island of Sardinia. Ryanair is the largest airline serving Alghero Airport. Alghero Airport is the main international gateway of the Italian city of Alghero and its region in Sardinia. 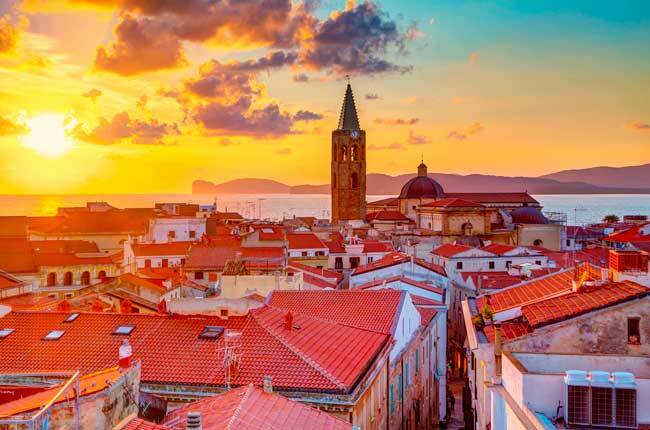 Alghero is the main resort town of the north-western coast of Sardinia. 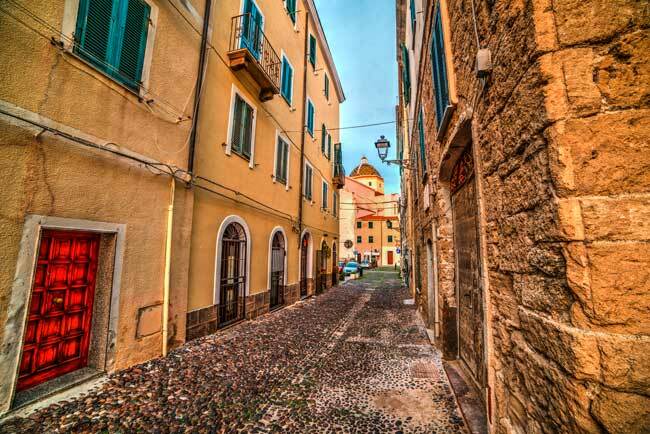 Alghero’s Old Town, also known as L’Alguer la Vella, is the main touristic attraction of the town. The city walls of Alghero are also worth to see. The Church of Saint Michael still keeps its Gothic-Catalan architecture style. Alghero and its region enjoys of magnificent views and natural landscape such as beaches, bays and natural parks. 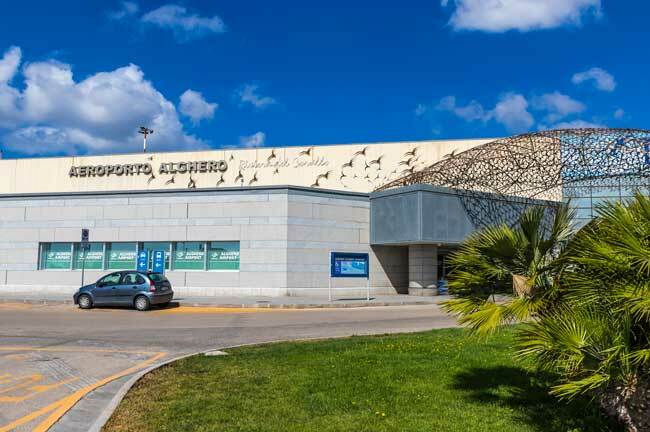 Alghero Airport has single passenger terminal. Alghero Airport handled 1,677,967 passengers in 2015. Bus: ARST public bus services are available in Alghero Airport. Also long distance services within Sardinia are available. Taxi: Get to Alghero downtown within 15 minutes. Car rental: Car rental options in Alghero Airport are available in the closest car park located outside the main terminal building. You can also book your car through our searching engine. Alghero, in Catalan L’Alguer and in Sardinian S’Alighèra, is a town located in the north-western coast of the Italian island of Sardinia. The town has a narrow connection with the Crown of Aragon, who conquered the city in 1353. Therefore, its essence is a mixture between Italian and Catalan influence, since Catalan is a co-official language along with Italian and many of its population descent of the Catalan conquerors. Not in vain, people refers to Alghero as the “Barceloneta”, little Barcelona, due to its connection with the Catalan capital. The Old Town is a clear example of this fact, where Gothic and Catalan influences get together. You can find many interesting monuments such as the Alghero Cathedral (Cattedrale di Santa Maria Immacolata di Alghero), the Church of Saint Francis, which still has Catalan-Gothic parts, the Church of Saint Michael, the Albis Palace and the Torre del Portal. 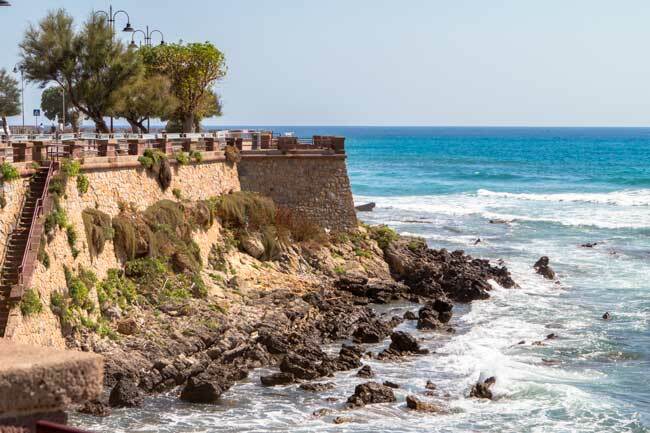 A well-known sight in Alghero are the city walls at the seashore of the Old Town. They were built in the 13th century by the Genovese and then, in 1354, with the Catalan occupation, they were restored and expanded. Even though, in the 16th century they were expanded and restored again by the Spanish. Alghero region also enjoys of a well conserved natural landscape, with stunning beaches and natural parks – Capo Caccia and its lighthouse are worth to visit!